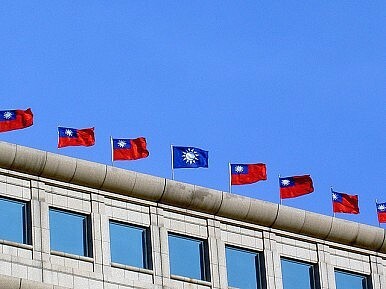 Taiwan’s Philippines Nationalism: More Benign Than PRC? Why are Taiwanese and Chinese nationalisms perceived so differently despite emanating from the same source? The recent dispute between Taiwan and the Philippines over the killed fisherman has been useful in shedding light on Asian nationalism, particularly that of Greater China. Specifically, it has shown some of the ways in which nationalism cuts across the Strait, from Taiwan to the People’s Republic of China (PRC), as much as it faces out to the rest of the region. After all, whether you are from Beijing or Taipei the great father of modern Chinese nationalism is Sun Yat-sen. In the “Three Principles of the People” Sun delivered the canonical message of China’s destiny, which he defined as seeking nationalism, democracy and livelihood. Perhaps more than any other modern figure, he articulated the key elements of Chinese national identity. That he is respected and revered in both the Republic of Taiwan and the PRC shows a profound common linkage, despite the very real political differences that exist between the two. That the Philippines’ handling of the crisis has been criticized in Taiwan for laxness, a lack of sensitivity and diplomatic discourtesy is understandable. Disagreements about tragic, contentious issues like this most recent one are all too frequent between states, and a diplomatic machinery has rightly developed to handle these tough issues precisely so they don’t threaten to get out of hand. Even so, the strength of public and media responses in Taiwan shows that, democracy or not, the Taipei’s nationalism can be every bit as unsettling as mainland China’s nationalism over issues with Japan. Still, most Westerners and U.S. allied nations assume the worst every time there are angry protests in the PRC over some perceived Japanese transgression, taking these events as signs of a new “muscular nationalism.” Despite Taiwanese nationalism becoming so emotional and fervent during the most recent Philippines incident, it has been often perceived by these same observers as much more benign. This underscores how Westerners and much of the region views Mainland China’s nationalism as way more pernicious than nationalism anywhere else in the region, including Taiwan, despite the fact that they clearly have common roots. Some of the Taiwanese media and the public commentary has been every bit as threatening and deafening towards the Philippines as that emanating from across the Strait. And the ways in which some nationalists on both sides of the Strait have used similar language has also been revealing. Indeed, Xi Jinping’s advisors in Beijing must be wondering how they can do more to recruit countries like the Philippines to push Taiwan and the PRC closer together! The fisherman’s death has created a common cause where previously too much difference prevailed. Of course, our assumption is that democracies can and should handle these moments of strong unified public emotion, and that they are better equipped to prevent public sentiment from getting out of control than the PRC, where all too often public anger and resentment bubbles over and ultimately gets dealt with by state violence and autocratic edict. Even so, events over the last few months have shown fascinating new dynamics in the relationships between countries in the region, and have been a useful antidote to this facile idea of a prevailing commitment to Asian values that in the end trumps everything else. What we really see is not so much Asian values as nationalistic ones – and ones that are likely to prove extremely volatile in the years ahead as nations simultaneously become more competitive economically, more powerful, and more interlinked. Kerry Brown is Executive Director of the China Studies Centre at the University of Sydney, and Professor of Chinese Politics. He was previously Head of the Asia Programme at Chatham House. He leads the Europe China Research and Advice Network (ECRAN) funded by the European Union (www.euecran.eu). Even a tactically “successful” invasion of the island might lead to strategic defeat for the PRC and the Communist Party.